gdo.com [Great Design Options]. We are a web development company with over 17 years’ experience in delivering custom-built web designs, web sites & software, tailored specifically to meet client needs. "Excellent work. I highly recommend. " "I am a software developer and I searched through all of 99 Designs to find a graphic designer that possessed the necessary skills to help me design new screens. I interviewed many candidates and in the end I choose GDO. I cannot say enough great things..."
"I can honestly say ALL the software screens GDO made are AMAZING. If you are evaluating many different 99 design teams I what highly recommend you choose George. I have been in marketing for 20 years and he is one of the best designer builders I hav..."
"If you are looking for a first-class designer then I highly recommend GDO. I cannot say enough great things about George and his work. My experience has been totally first-class every step of the way. Before I hired George, I examined the work of man..."
"I cannot say enough great things about George and his work. My experience has been totally first-class every step of the way. Before I hired George, I examined the work of many 99 Designs teams and in the end I chose George. My work with George was ..."
"GDO does a great job every time. Design, coding and project management are all done perfectly. I highly recommend GDO. Thank you George. " "Superb job by George. I highly recommend George as his design intuition is impeccable. He adds great value to every project. " "George is a thorough and innovative designer. My highest rating. " "George is absolutely one of the very best designers I've worked with. He is extremely diligent, detailed oriented and very prompt to respond to project updates. I would recommend him to any of my colleagues. " "George is one of the top designers I've worked with. I highly recommend." "I cannot say enough great things about George and his work. My experience has been totally first-class every step of the way. Before I hired George, I examined the work of many 99 Designs teams and in the end I chose George. I have been in marketing for..."
"Another outstanding job by a superb designer and web admin. I give George my highest rating. Do not hesitate to give George even your most important and challenging assignment. " "Another 5-star project with George. I have been consistently working with George for three months and every day has been positive. There hasn't been a single instance where I doubted his skills. He is very reliable and his work is always timely. ..."
"Another A+ \experience with George. I cannot say enough great things about George and his work. My experience has been totally first-class every step of the way. Before I hired George, I examined the work of many 99 Designs teams and in the end I chose ..."
"The best web designer I've had the pleasure to work with EVER! I discovered gdo when they submitted a design to my contest. They took my ideas and really developed them. They worked so hard and were in constant contact with me. After I picked them as th..."
"George continues to provide amazing design work. He gets my highest rating. " 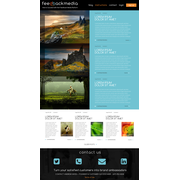 "George is one of the best website designers I've ever worked with. He is able to understand my vision and his intuition is perfect right from the first design he provides. I look forward to working a lot more with George. He gets my highest rating." "Terrific designer. I highly recommend GDO. George is a pleasure to work with." "Such a talented designer! So responsive to everything that I need! It was an absolute pleasure. " "Gdo designed the main page of my website. It was an absolute joy to work with gdo. He was the first into the contest and stayed with me the entire time, making all changes and furthering the vision of my website. " "Needed to design a landing page. GDO.COM was quick to post an idea and very quick to respond to our design changes and needs. Good communication. Prompt responses. " "I have no words to explain the creativity, deep understanding of our needs and technical mastery that GDO has shown during the development of the project. They received the brief and produced a result far beyond our expectations. On top the collaborat..."